Don’t forget that you can bring your kids to the 12th Annual Lauderdale by the Sea Craft Festival dressed in their costumes. They can trick-or-treat at each of the crafter’s booths. Questions? Comments? Concerns? 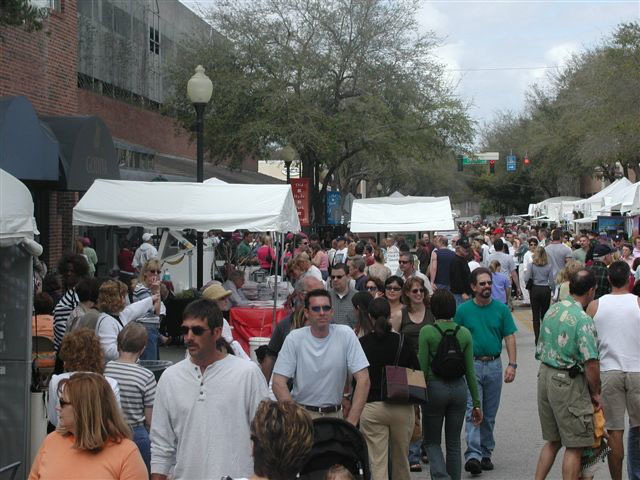 Leave a comment below, call us at (954) 472-3755 or email info@artfestival.com. Get involved! Find us on Facebook & Twitter. Help paint Tampa PINK this Halloween weekend! As you attend the 21st Annual Hyde Park Village Art Fair wear PINK to show your support for Breast Cancer Awareness Month. We are encouraging all artists and visitors to participate. * More than 1.7 million women who have had breast cancer are still alive in the United States. So, get involved and wear PINK to the art festival today and tomorrow. Click HERE to find out all the details of the show. We look forward to seeing you there! Want to hear all the inside scoop? Follow us on Facebook, Twitter & YouTube. 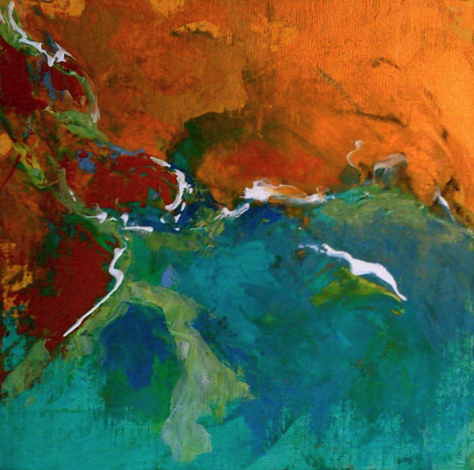 Barbara Quigley has been painting for over twenty years and is a third generation artist. You can see more of her artwork HERE. Brady Mason grew up in St. Thomas and Puerta Rico, which allowed him to appreciate the extremes of nature. 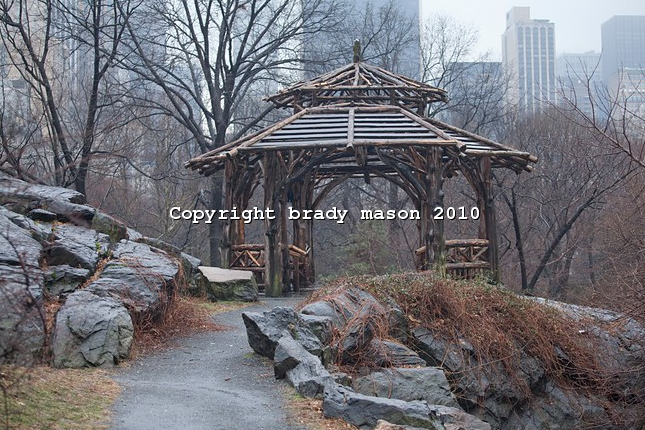 You can see more of his photography HERE. Betsy Bohrer describes her work as “wet oil paint blended with dry chalk pastels plus cotton stitchery interwoven together among layers of cerebral insomnia on various textured papers and boards”. 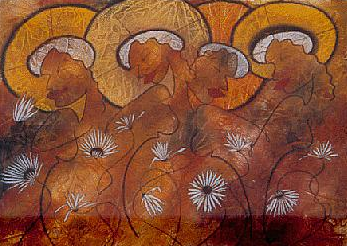 Click HERE to see more of her artwork. Questions? Comments? Concerns? Leave a comment below! Get involved! Join us on Facebook & Twitter. Trick-or-Treat at the Lauderdale by the Sea Craft Festival! 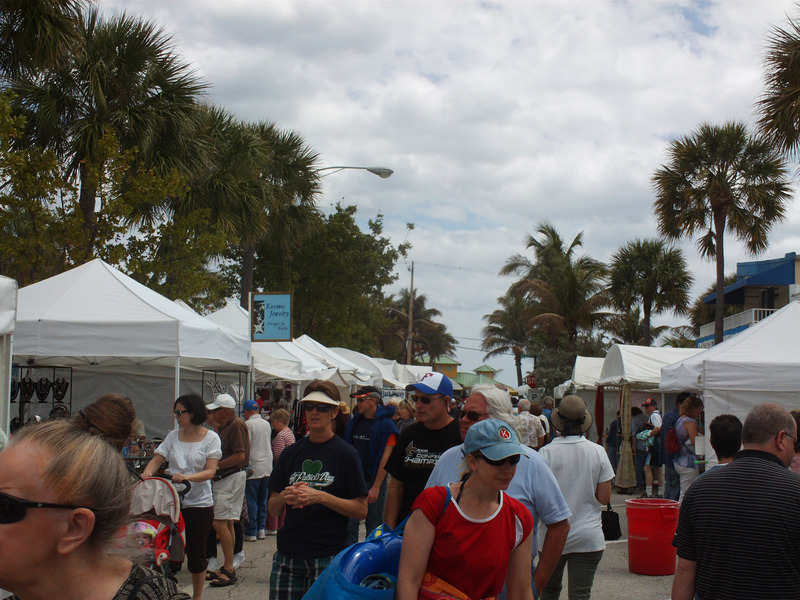 This weekend, young festival-goers will experience something unique when they visit the 12th Annual Lauderdale by the Sea Craft Festival in Lauderdale by the Sea, Florida on October 30th & 31st! 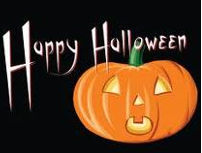 Children will be able to go trick-or-treating at this family, friendly event. They can visit each artist’s booth, receive treats and gaze at all the beautiful crafts. So, make sure you come out and enjoy what the nation’s top 150 crafters have to offer. There will be something there for everyone! Questions? Comments? Concerns? Leave a comment below, email us at info@artfestival.com or call us at (954) 472-3755. Get involved! Join us on Facebook & Twitter! 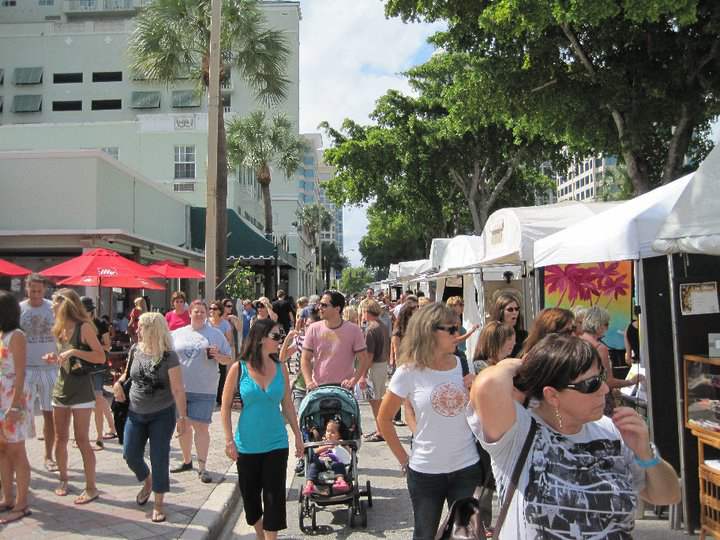 Las Olas Art Fair RECAP! We had many talented artists who were present with us this past weekend. You cannot find their artwork anywhere else! If you were unable to attend or exhibit in the show, make sure you join us for our 23rd Annual Las Olas Art Fair Part I in Fort Lauderdale, FL. 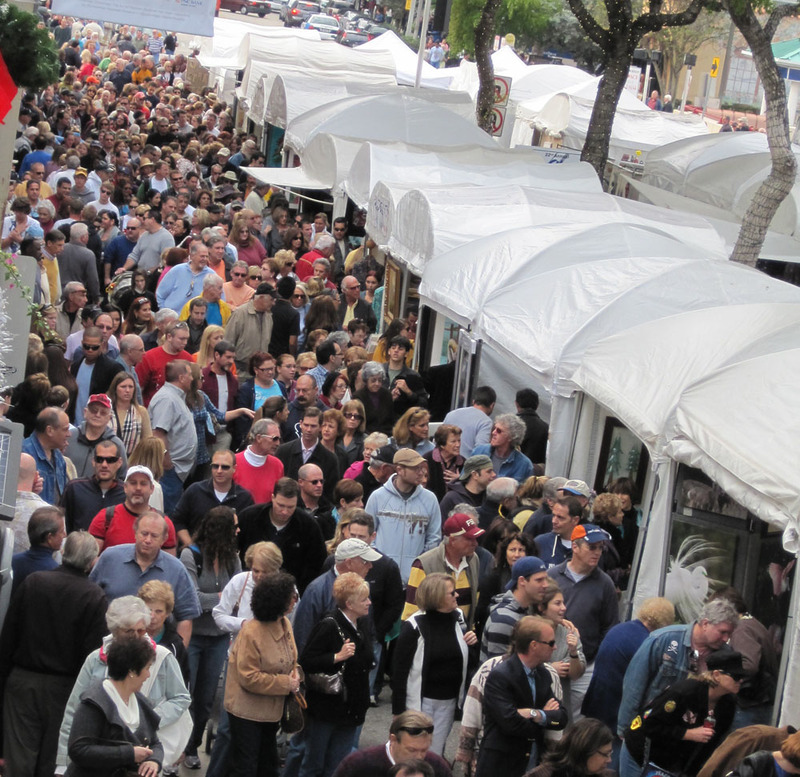 on January 1st & 2nd, 2011 & our 23rd Annual Las Olas Art Fair Part II on March 5th & 6th, 2011! 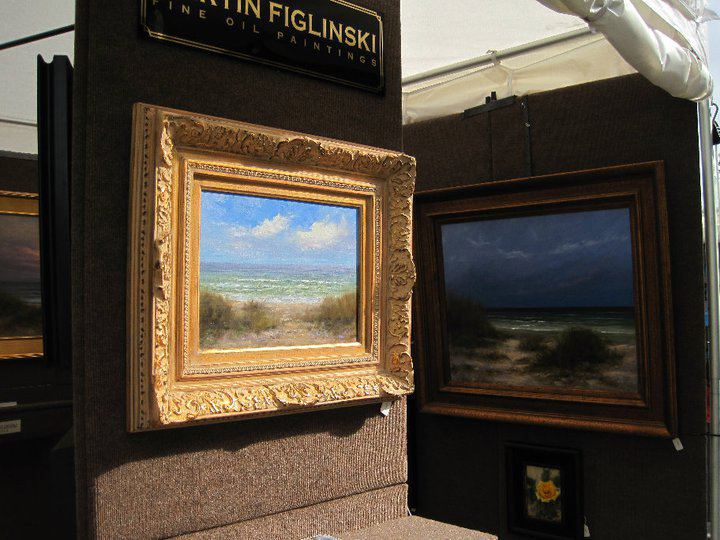 You can view a full schedule of all our art festivals if you click HERE. If you would like to see all the pictures that were taken over the weekend, you can click HERE. Questions? Comments? Concerns? 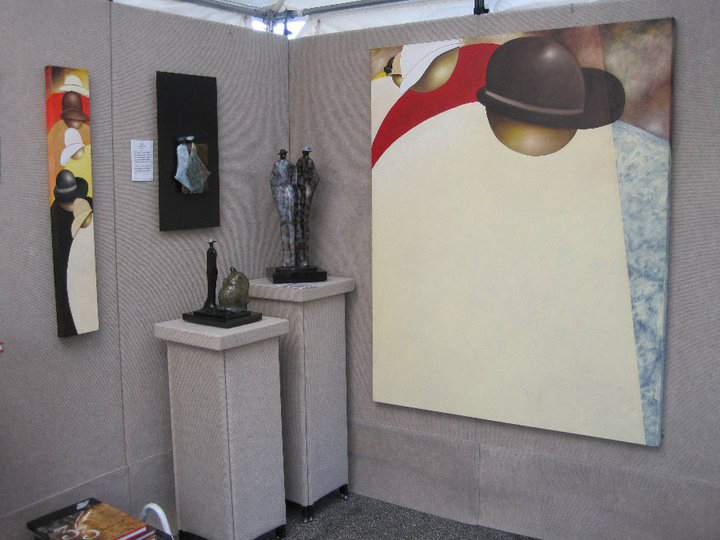 You can write a comment below, give us a call at (954) 472-3755, or email us at info@artfestival.com. Today, we are launching a sweepstakes for a FREE 2-day, 1-night stay at the Homewood Suites by Hilton in Bonita Springs, Florida. 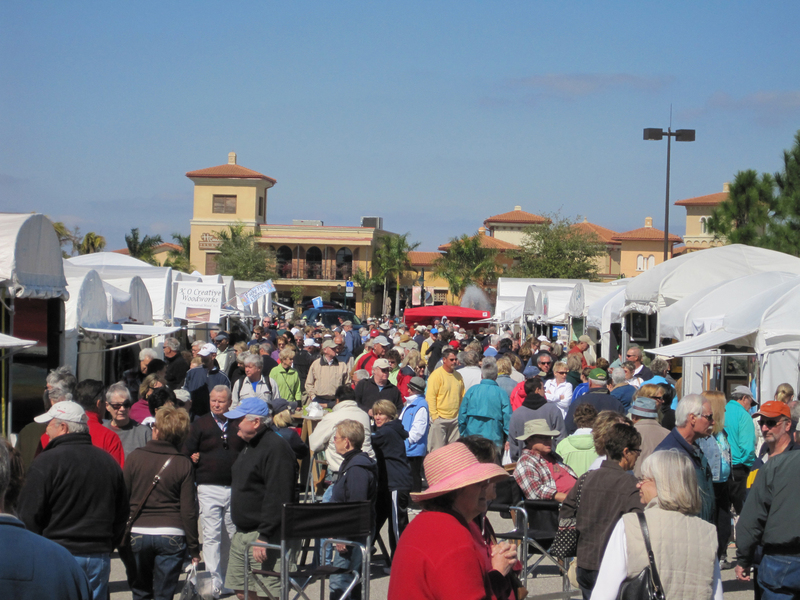 This is a phenomenal opportunity for artists or visitors who love our Coconut Point Fall Art Fairs, which is located in Estero/Bonita Springs. It’s only 7 minutes from the art fair! 1. Become a fan of our fan page on Facebook: Howard Alan Events. Click HERE. 3. Send an email to office@artfestival.com with your name, email address, and phone number. It’s very simple and easy to WIN! You MUST complete all three steps. The sweepstakes will close on Thursday, November 4th, 2010 at 5:30 PM, and the winner will be announced by Friday, November 5th, 2010 at 5:30 PM. 1. There is one grand prize. 2. You can apply only ONE time. 3. You must be 18 years or older to apply. 4. You must be a US resident. Disclaimer: The FREE stay at the Homewood Suites by Hilton does not apply when the hotel has reached its full occupancy. We cannot promise that the hotel will have availability during the times of our Coconut Point art festivals. We have something very exciting we want to share with you! A local artist in the South Florida area will be visiting Mr. Florence’s art class at Virginia Schuman Young Elementary (VSY) this Friday, October 22nd, from 9:30 AM – 11:00 AM. This elementary school is located in Fort Lauderdale, Florida. The artist, Marvin “Murf” Murphy, will work with the kids to create an abstract-themed painting. He will be working with three separate classes made up of 2nd and 3rd graders. Three of Marvin’s daughters (who are also artists) will be present helping the kids, as well. Marvin will get the canvas started with a background. The finished piece will be at the 23rd Annual Las Olas Art Fair THIS WEEKEND (October 23rd & 24th)! It will be on display in the JM Lexus area, which will be located on 9th Avenue and Las Olas Boulevard. Make sure you visit this specific area at the show! On Monday morning (October 25th), it will be donated to Virginia Schuman Young Elementary (VSY). If you would like to see Marvin “Murf” Murphy’s website, click HERE! Questions? Comments? Concerns? 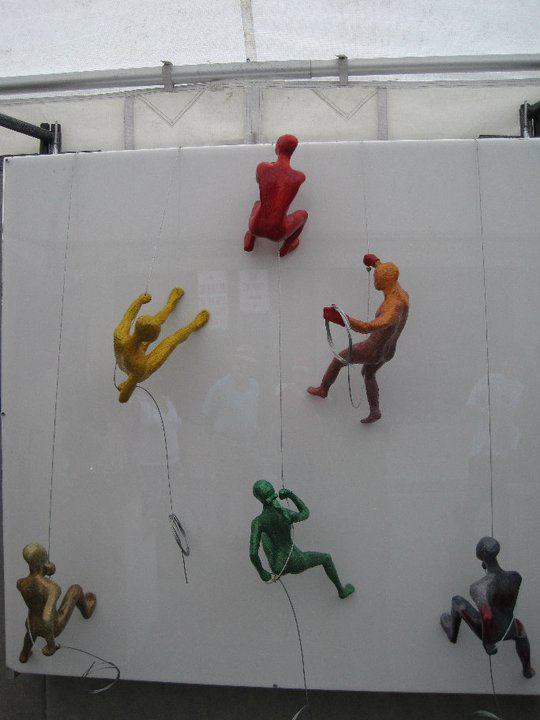 You can leave a comment below, email us at info@artfestival.com or call us at (954) 472-3755. Don’t forget to follow us on Facebook & Twitter for all the latest scoop! P.S. Don’t forget to wear PINK this weekend! !